By some accounts, Waynesville is the most haunted city in Ohio, boasting no less than 36 haunted sites within town limits...and the historic Hammel House bed and breakfast is its most haunting building! Built on the site of a former log tavern known as Jennings House, Hammel House gets its name from one of its rather colorful owners, Enoch Hammel. 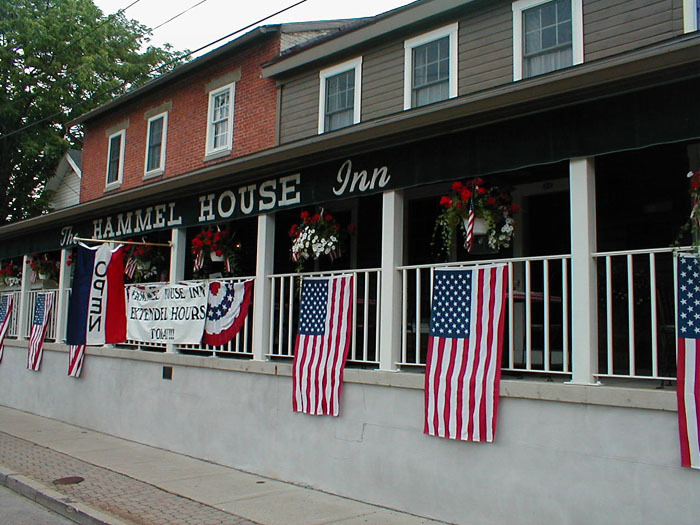 Hammel seemed like a rather fine, upstanding citizen to most residents of the town, but a Quaker woman who stayed across the street from Hammel House on a regular basis knew better. Mrs. Anna O'Neal was known to park a wagon in front of her cabin so that her children wouldn't be able to see the "Bacchanalian revelry and ribald conduct which was hourly enacted." In later years, the inn was owned by Mr. W.O. Gustin who made major improvements, added modern amenities, such as electricity, and turned the place into a fine hotel, which hosted several presidents over the years. However, today, the inn is as much known for its ghostly goings-on as it is its famous guest list! 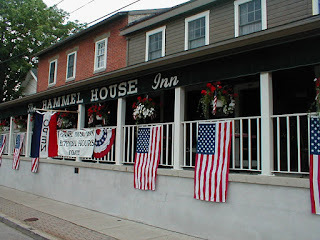 In an interview, owner Pam Bowman describes the hauntings of Hammel House. As the stories go, in 1823 a traveling merchant, possibly a jeweler or gold merchant came to Waynesville and stayed the night in Room #4 of Hammel House. He was never seen from again...at least, not in the flesh. Since then, visitors have reported that in addition to the apparition of a ghostly cat, the murdered merchant still makes his home at the inn. He is seen as a shadowy form that will manifest in one area of Room #4 and make his way out into the inn and into the dining area. Some guests sleeping in that particular room and the one next door claim that this shadowy manifestation has even climbed into bed with them! If you're a little uneasy about booking a room with a possible ghost, each October the inn features a special Ghost and Goblet Dinner and Tour where you enjoy a wonderful meal at the inn, followed by a ghost tour of some of those Waynesville hot spots!